This art work is made up of 25 to 30 skulls arranged together, either pinned or nailed directly to the wall or nailed to one or more panels and hung on the wall. There is a space between the wall and each skull, allowing for shadow. Each skull is approx. 23cm x 14cm. 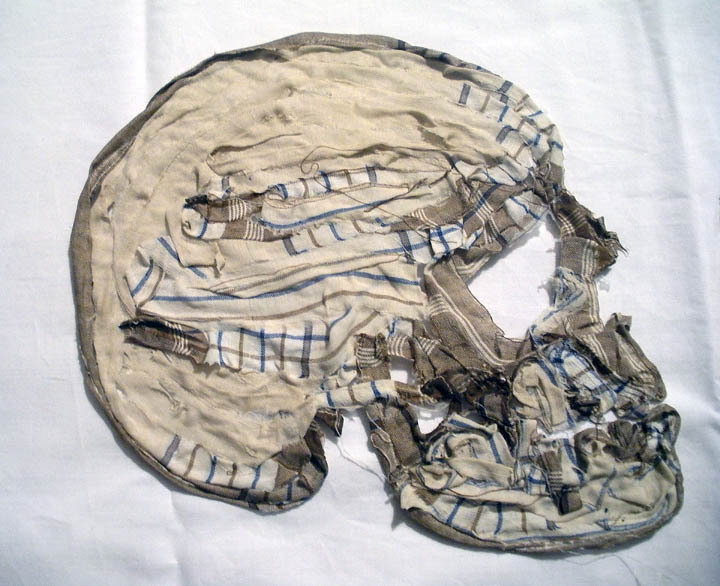 Strips torn from a man’s handkerchief and flour and water paste, has been used to make these skulls.